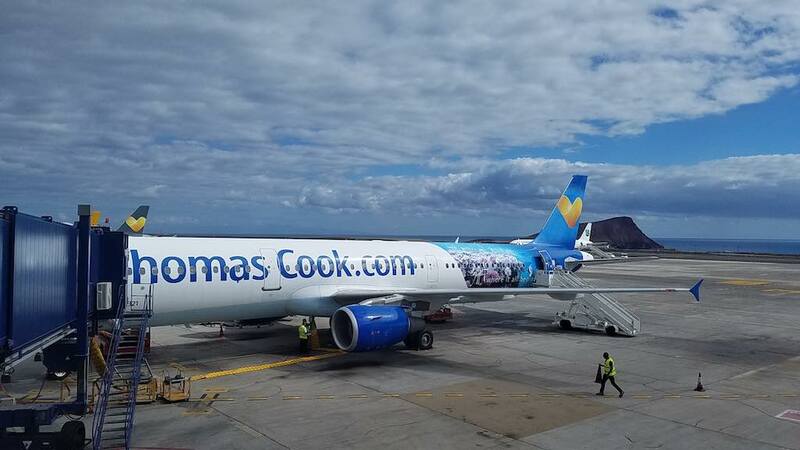 Most of you reading may not even know about Thomas Cook Airlines, but they’ve been around for quite some time now. 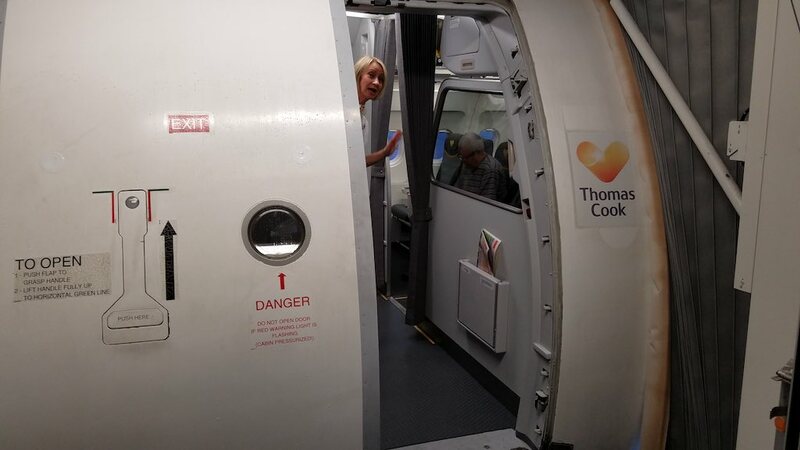 You may buy charter packages and just shopped by price and when you get to the airport the airline is Thomas Cook. 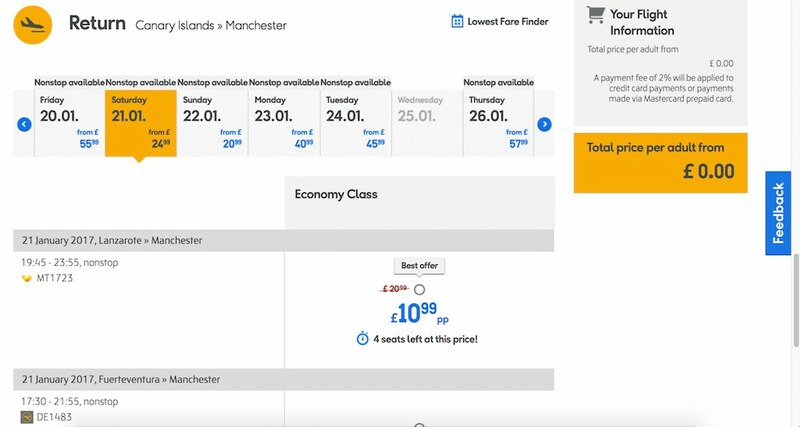 Others of you may actually go to www.ThomasCook.com and book a flight, hotel or package deal. I wanted to experience their service so I talked them into working with me to accomplish just that and share the information with you. 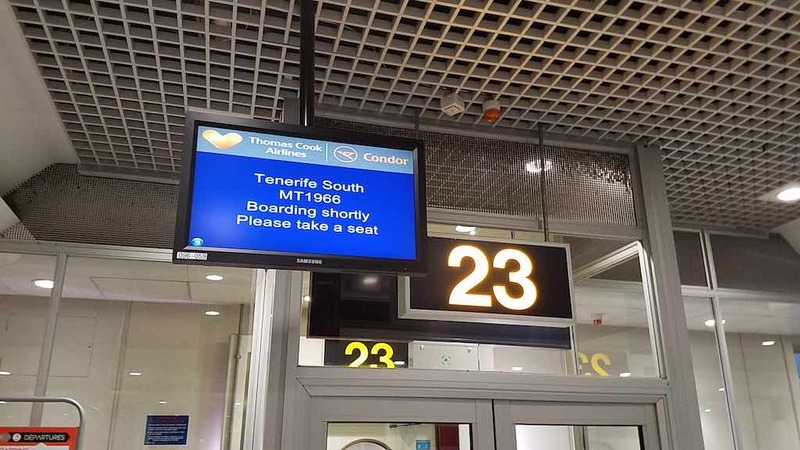 I had pretty much carte blanche on what I could do and where I could go as long as it was a short haul flight, so not having visited the Canary Islands, I opted for Tenerife after checking schedules, etc. 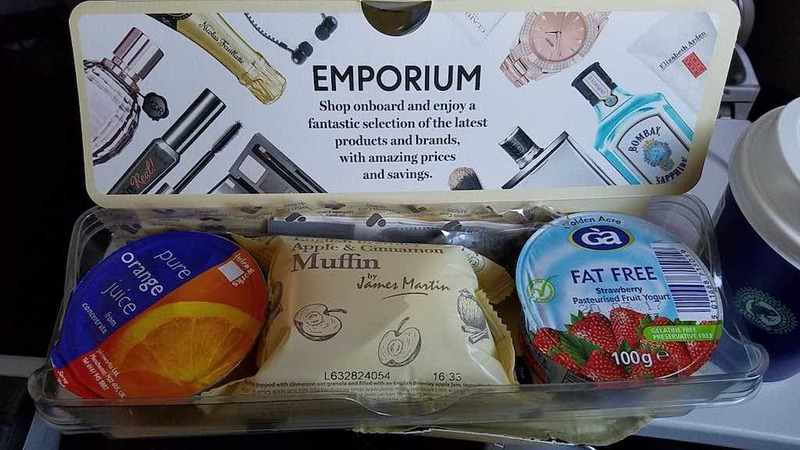 It also worked out well since Singapore Airlines (SQ) was launching their Airbus A350 flights from Houston to Manchester and onto to Singapore, so I was able to take that flight. But I digress. Initially, I tried to book a vacation package; i.e. 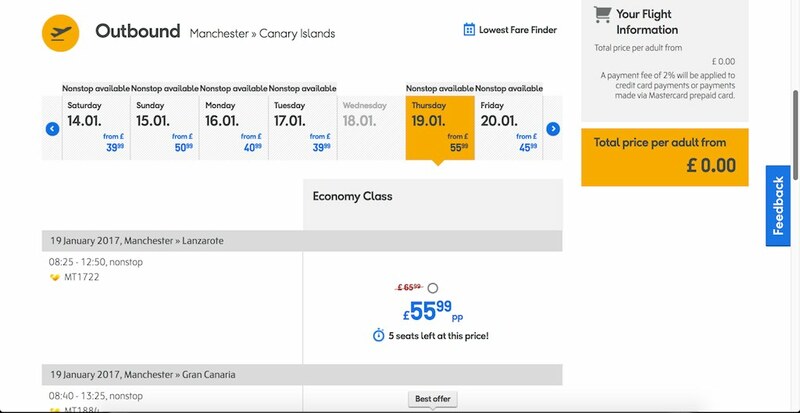 flight and hotel for one price, but when I went to pay for it, I got a message saying that I had to be in the EU in order to pay for it. Bummer, so then I decided to book separately. I started with the flights first. 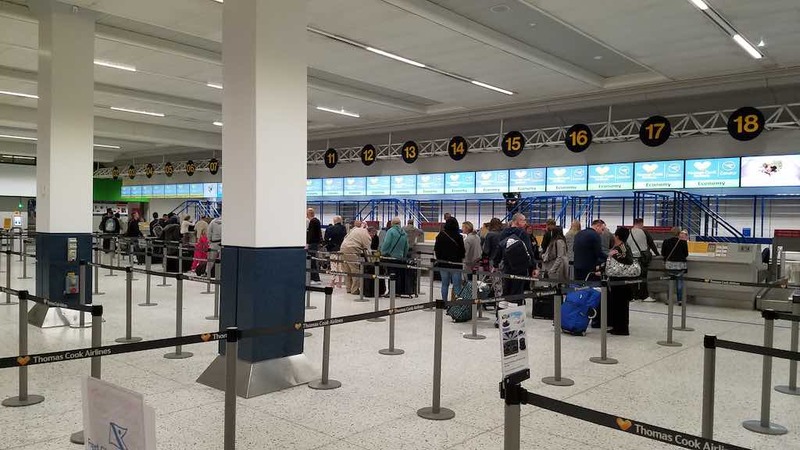 I was actually impressed that the fares were so low; I wanted to spend two nights in the warmth of the Atlantic Ocean, but the flight timings did not make that possible. 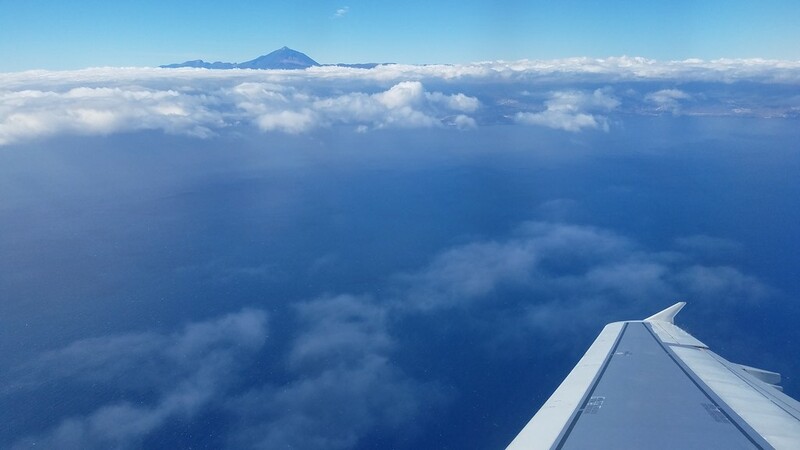 So after looking at a few places such as Lanzarotte, Canary Islands, I settled on just heading to Tenerife for an overnighter. 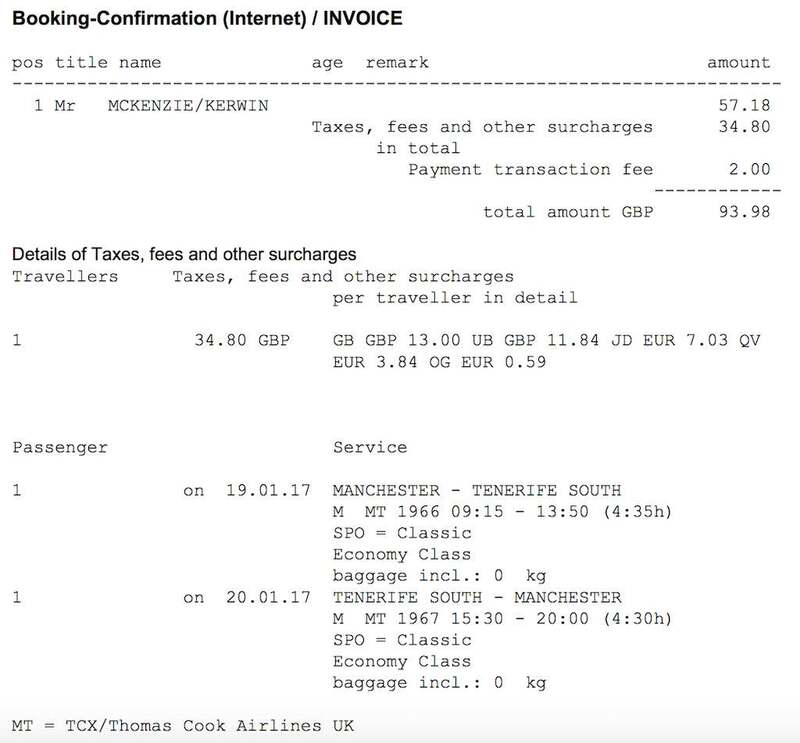 My final price for the outbound and the return flight before adding any extras was £93.98, which included £36.80 in taxes and fees. Not bad for a 4 hour plus flight round trip. Give them a call on 01733 224 330. They are open 8am-10pm every day. I advised that I’m in the U.S. and it would be an expensive call, so they gave me a link for a Chat at https://www.thomascook.com/customer-services/. After a long chat I was told that I could not get the £38 deal. So I went online pulled up my reservation and was able to add the extras I wanted without any issues and also got the £38 deal for a bag, a meal and a seat assignment. I opted for a pre-checked bag on both flights, a seat assignment on the return and a meal on the return. I figured I’d see what kind of seat I got on the outbound without paying for it, buy a meal onboard. I did not want to pay the £50 baggage fee though; hence pre-paying for the checked bag which weighted in at 11kg. As I was staying by the airport, it was an easy commute to the airport. 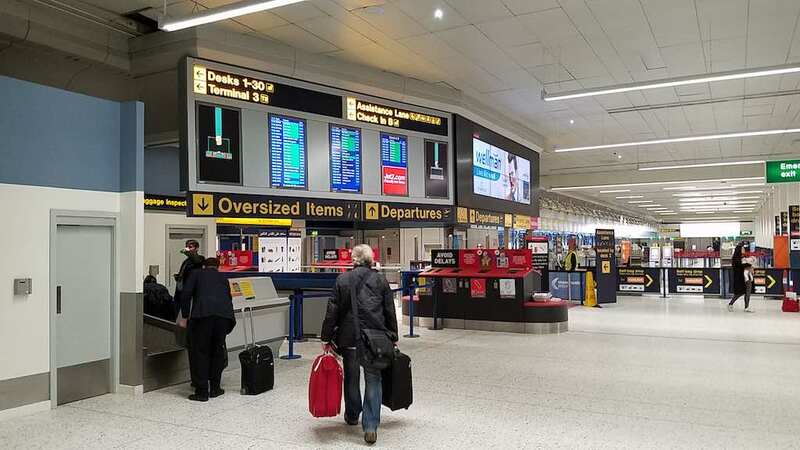 Manchester has three terminals and Thomas Cook uses Terminal 1. Once dropped off, I headed inside to check-in since I’d not done that before. and me, clueless :-); I was just having a slow morning. The check your bags in line was really long and getting longer, so I tried to see if I could check myself in online so I could just use the shorter bag drop kiosks. My Internet signal was pretty bad, so that totally failed. 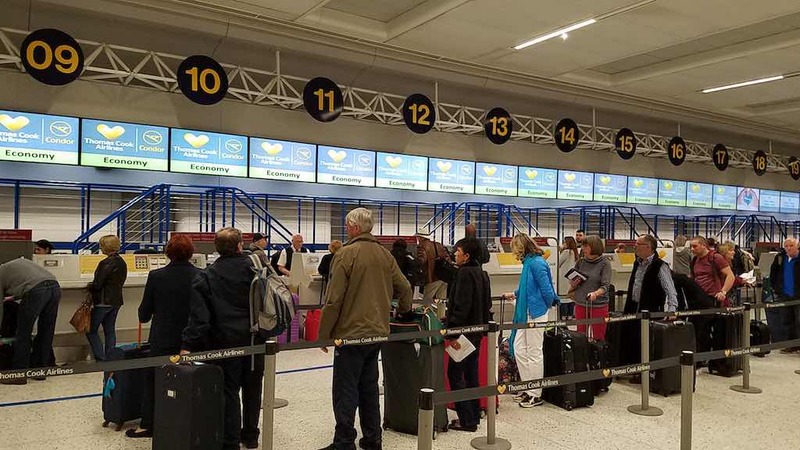 And then I decided to join the longer “I’ve not checked in online, but should have and now I have to join the longer queue” queue. It was actually a very efficient queue despite its length. I looked around and people have way too many bags. I’m assuming that the average person is going away for a week. Come on people, you don’t need that much stuff. Anyways, when it was my turn, I said good morning to the agent and placed my bag on the conveyor belt. It weighed in at 11kg, so I was good to go for the 20kg limit. As its a backpack, I ensured that the straps were corralled as good as possible to avoid being caught on the belt later and ripping it to shreds. She took my passport and proceeded to check me in. She actually asked me to place my carry-on on the belt; strict I thought; nothing is getting pass this lady today. I weight in at 6kg exactly and I was given instructions to not add anything else to my bag from the airport stores or I’d be over. I kept thinking that my bag would be weighed again once I got to the gate :-). She also placed a carry-on bag paper tag on my bag as well. 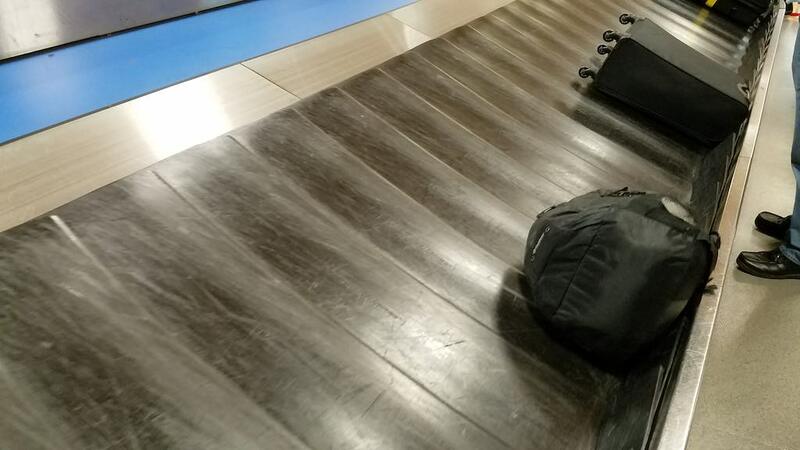 Next, my checked bag was tagged and since I had already paid the 25 GBP online, I was good to go. I was looking around to see if anyone had not and was paying the 50 GBP, but apparently they were as smart as I was. The agent then gave me my boarding pass with a seat assignment. Since I’d not paid for a specific seat, the system assigned me one at no charge. Luckily, it was a window. I thought I would have been given the chance of a window or aisle if one was available, but this was not the case. It may have been just this one agent though, who knows. She then instructed me to head over to the oversized luggage and drop off my bag. “Oversized?” I asked, cine it was a small backpack. She then explained that since it was a backpack and it had straps they use the Oversized area to avoid the straps from getting caught. I headed over there with other passengers in tow as well with similar items. 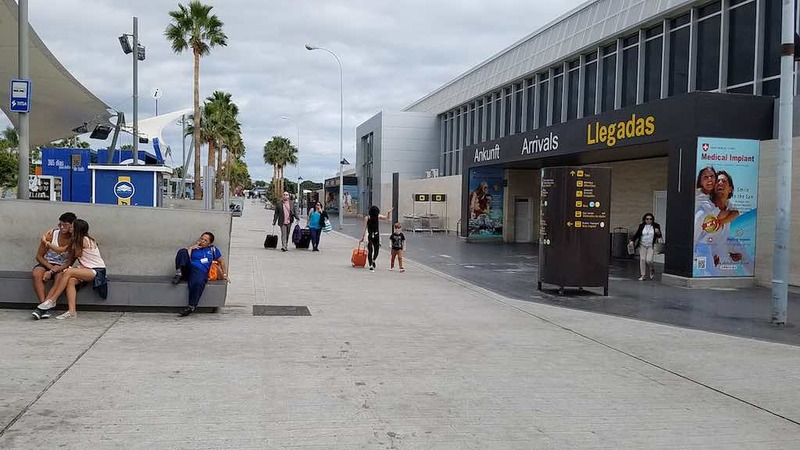 That agent without speaking, took my passport and boarding pass, did something with his computer and once my luggage had disappeared behind the black rubber curtains and a few minutes passed, he gave me back my documents and I was on my way. This is always fun in the U.K. as they are very, very strict. As I was not a premium passenger, I did not get picked for the Fast Lane :-(, so I had to slum it with the regular people. Since I did not have my usual backpack with me, it would be an easier experience. I typically have them re-check my bag as their machines always see something it can’t decipher. There was one lady shouting flight departure times in order to move people through if they were in jeopardy of missing their flight. Someone it seemed inefficient due to the cutoff periods she had. It did serve to be entertaining and made the wait go quickly. As much as I tried, my bag went into secondary, where the agent took her sweet time and removed most of the items and ran it through again. In the UK, you can’t talk to the agent or offer any help, so I was rebuffed constantly. Eventually it was all over and I headed into the departure terminal through the Duty Free area. I lingered a bit so I could watch a Jet2.com Boeing 737 push back; always fun to see. I made my way over to my gate eventually and waited for the flight to board. I did not qualify for any Airport Clubs here. When it was time to board, it was quite quick and did not have any particular order, so I boarded among the first. They did board anyone who needed a bit of time to board first though. The aircraft is an Airbus A321 with a 3-3 configuration all in a single class; a dense configuration. I love the golden hearts on every headrest; adds a loving touch I think. I found my seat and slipped in and was joined by an older wife and husband seat mates later. Very nice couple who has family in Tenerife, so that makes it easy and cheap to have a quick vacation. 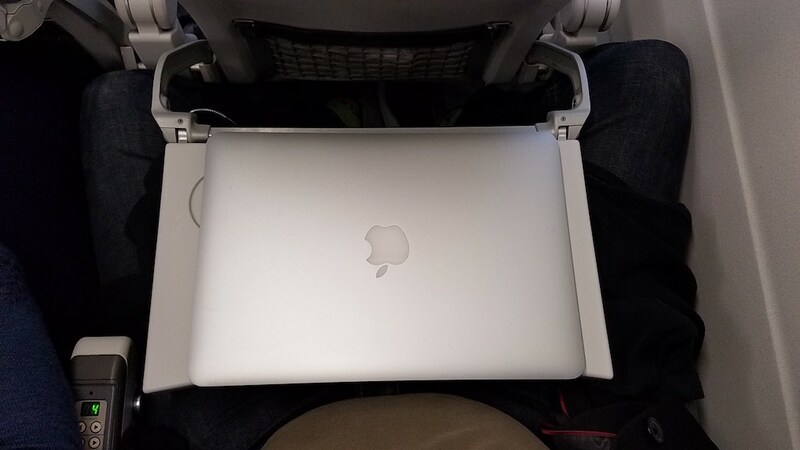 The tray table just about fits my 13″ MacBook Pro as you can see below Legroom is tight for a 6′ 1″ frame, but if you are below that it works fine. We were a bit delayed in our departure; doors closed at 9:26a although boarding was complete at 9:14a; our departure time is 9:15a. 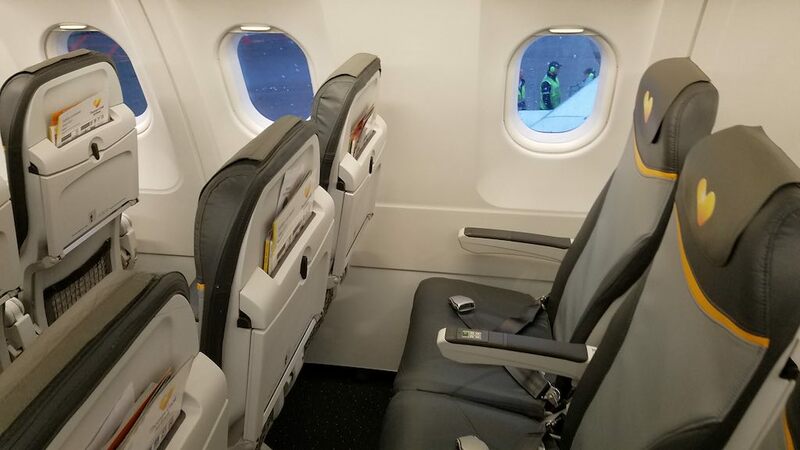 Just before the safety demo started, an announcement was made that they had two extra legroom seats available for £20 each. It did not take long for a couple to claim them and moved forward. We pushed back at 9:30a as the manual safety demo was being done. Ironically, I saw a Singapore Airlines Airbus A350 arriving from Houston as we departed; the same flight I had taken the day before. Soon, it was our time to depart the runway and we took to the cloudy skies at 9:45a. Shortly after takeoff, the lead flight attendant came on the PA and explained how it all would work for our flight. They would sever the meal, then take a break, the serve Duty Free, then do a second and final drink service. She also noted that no drinks would be served in between service. I thought this was odd; why not serve drinks when needed; oh well. 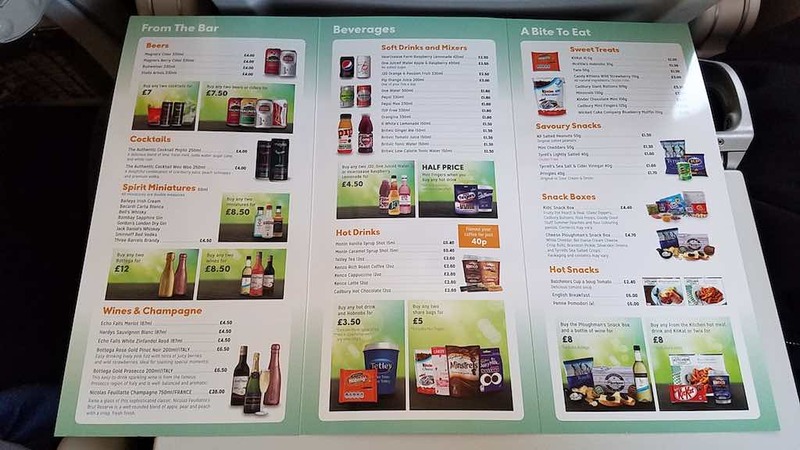 For those who ordered a meal, they were served first, followed by another service with choices from the onboard menu and there were also some left over breakfast choices. 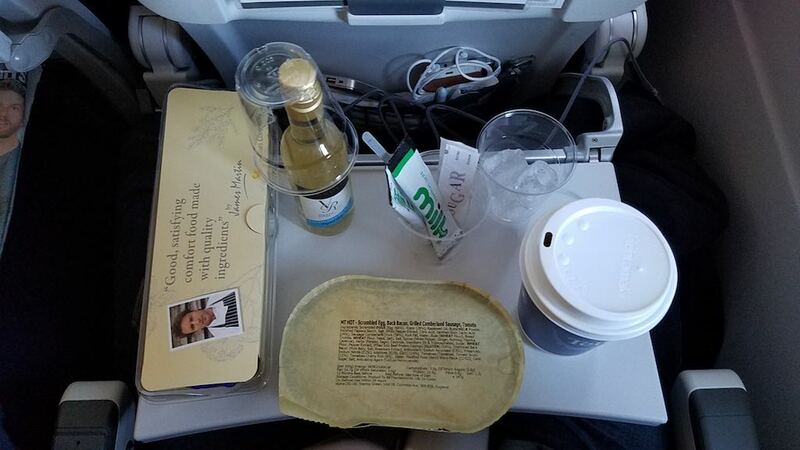 I was able to get one of the English Breakfast since they had extras and I topped it off with a glass of wine although it was breakfast time; but my reasoning was that I’d have it later since the flight attendants said they may run out during the second service and I can’t get something when I want, so I have to store it. It totally came in handy later. 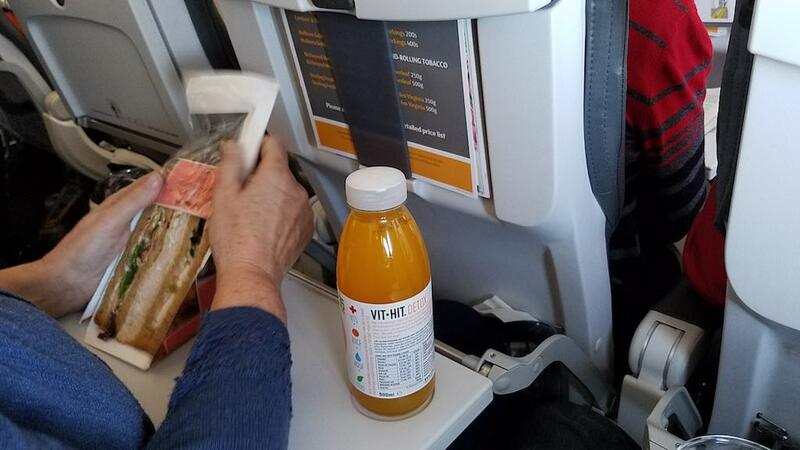 My seat mates actually brought their own meals which looked like the specials from the airport. They also had nuts too. 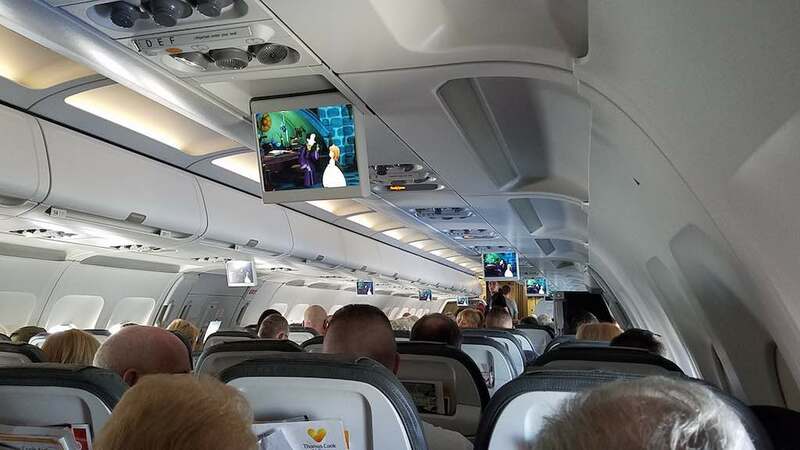 The aircraft is equipped with overhead monitors, so about two hours into the flight they did play some shorts or you could listen to music. Headsets were not provided so you had to use your own. The TV could be heard on channel 1 and channel 11 had some music. The Nanny was one of the shows being shown. After the meal, I was able to do some work, but not to much as I did not have any power source and the airplane did not have Wifi available. Once I ran out of power, I had a nap. 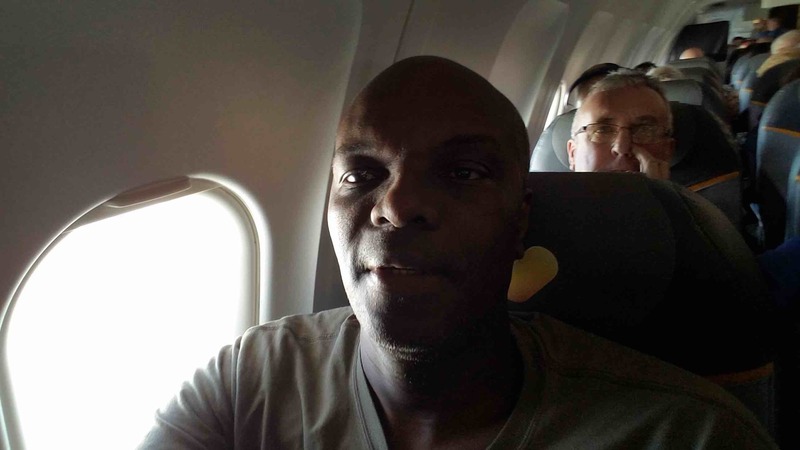 I also took an inflight selfie and the guy behind me photo bombed me :-). The crew did also come through with an offer for 3 bingo cards for 2 or 1 per card. Some of the money goes to charity they mentioned. Also about 3 hours in, Duty Free sales started. Before long, we had to prepare for landing. The flight crew came by and picked up the rubbish as the British calls it and ensured that all were buckled in for landing. I looked out my window and saw the photo below. I was pretty stoked now. We made a right turn and came in for a smooth landing. Umm…, no clap; I guess the British don’t do that, its just Caribbean people :-). We taxied into our gate and all disembarked; next stop would be Immigration, then Customs and Baggage Claim. I snapped a photo of my plane as I walked up the glass jetway. The Immigration waved all the British citizens in and then he came to me. Of course he had to stop, scan in my passport and then search for a place to stamp. This totally irritated the folks behind me. What’s the hurry anyways, we still have to wait for our bags :-). I think I was the only non British/EU person on that flight :-). I had a brief wait for my bag to show all intact. I then looked around a bit and walked through the nothing to declare line. Once outside, I figured out the bus for my destination and waited at the bus stop with a few other people. All in all a great trip; no incidents and all went well. Thanks Thomas Cook! 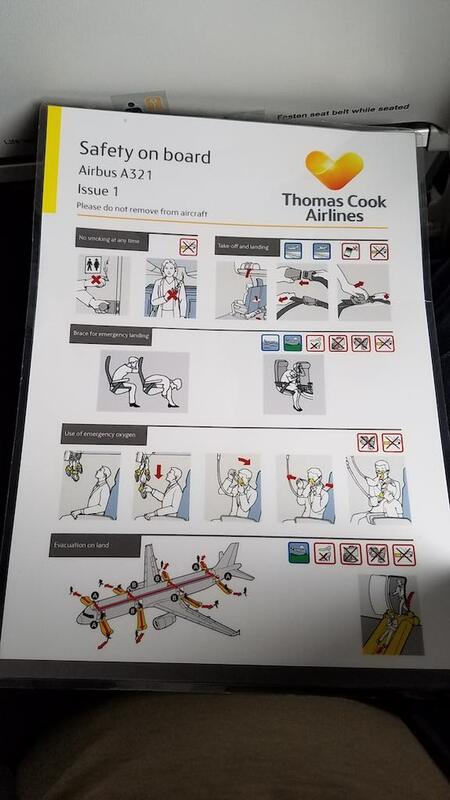 Have you flown Thomas Cook on this or any other routes? Leave a note below and let me know how it was. Thanks for the review Kerwin , very well written . We are going on TC A321 , Manchester to Paphos in August this year , we have booked seats near one of the emergency exits , row 11 . Looking forward to it . Sounds good, let me know how it goes once you have completed the flight. One slight inaccuracy, TCX fly from T1 at Manchester! Gate 23 is definitely on the right hand fork of T1! Thanks Kathryn. oops… you know your terminals :-). I flew with TCX in May/June of 2016. Flights were brilliant. Crew were all brilliant. 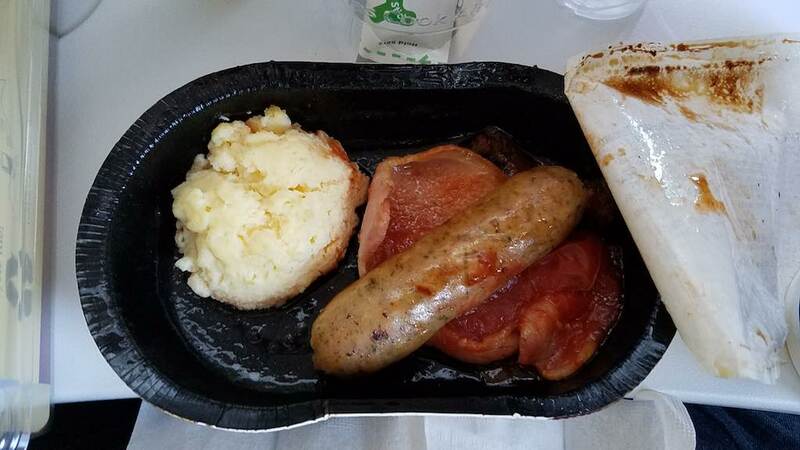 Food could have been better and was vastly overpriced for the poor quality presented. Seats were comfortable but the plane has too many seats. 29″ seat pitch proving to tight and I spent almost 5hours with my knees pressed into seats infront. As regards comfort, the worst flights I have ever and since flown on. 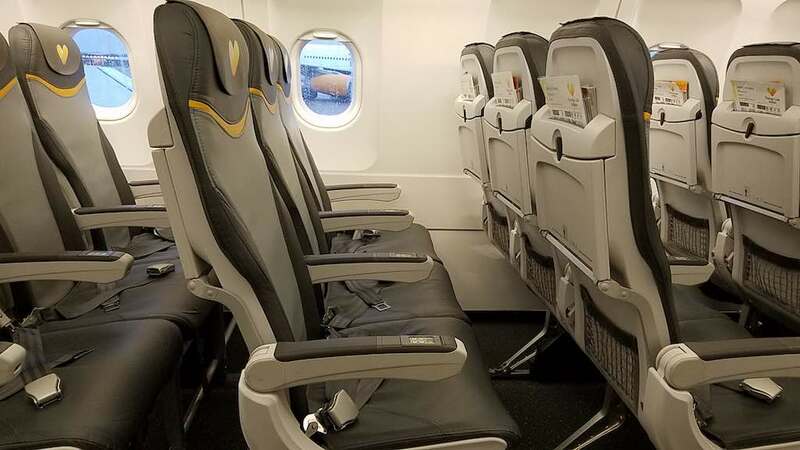 I would definately consider Thomas Cook Airlines in future, but only once they introduce Premium Economy across the short/mid haul fleet in the same manner as their longhaul A330s and Condor A321s & 757s. 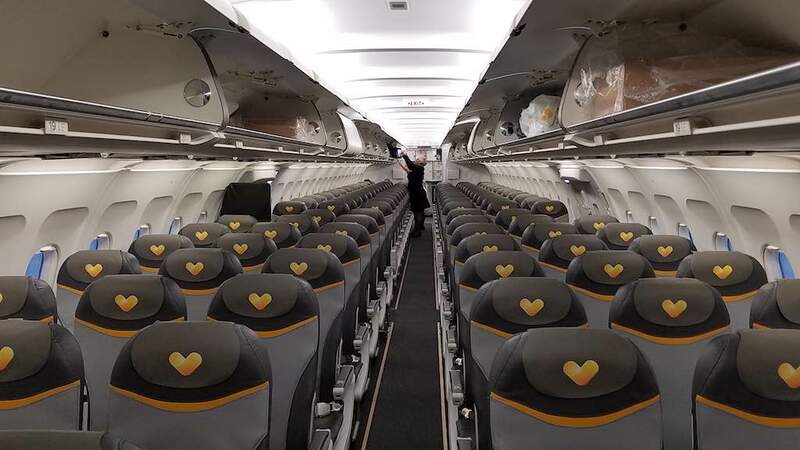 Failing this, as the loads clearly reflected, they need to increase seat pitch to 31″ and reduce capacity by 24 seats to offer a much more pleasant and appealing Sunny Heart experience. All in all; not bad but not the best. Thanks for your note Mark. I can certainly understand where you are coming from being 6′ 1″. Great customer feedback will help them to improve the services in the future. It’s one of those catch 22 situations though right? 24 seats means less revenue so that has to be made up somewhere. I’m sure they will read your comment here and take note. Nice Write up, you do here varied reviews about Thomas Cook and seating. So which seat did you sit in? You here some many varied reviews about Thomas Cook and seating, think you have captured this well in your reviews. So which seat did you sit in, i’m 6ft and it looked like your seat was fairly good? It’s not too bad, and I had a seat of three of us and all seats were full. Then I had the middle open on the return. I usually place my legs extended under the seat in front so that makes it better.